This means we need to implement at least one of the constructors from the superclass in the subclass. Turns out Eclipse makes it easy to pick and choose what constructors you want to implement and automatically inserts these constructors into your code. 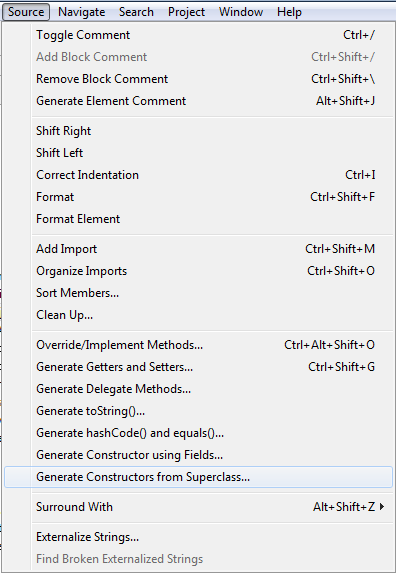 Open the Source menu and select "Generate Constructors from Superclass..."
Now set a check mark on every constructor you want to implement in your subclass and hit OK.
And there you have it! 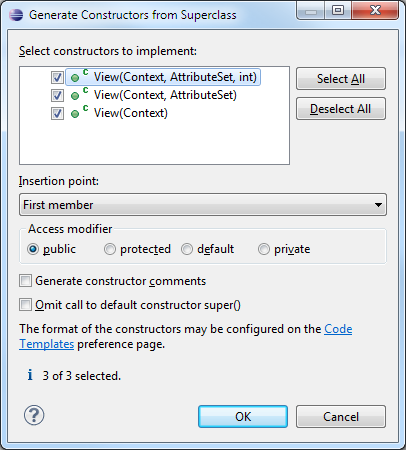 Three constructors automatically implemented that use the correct parameter list and call the constructor of the superclass.